When it comes to creating a dream home, there are a few rooms that really stand out in terms of creating value and a sense of luxury. Bathrooms are undoubtedly one of those, and Cederberg Kitchens & Renovations offers the very best in bathroom remodel and transformation. 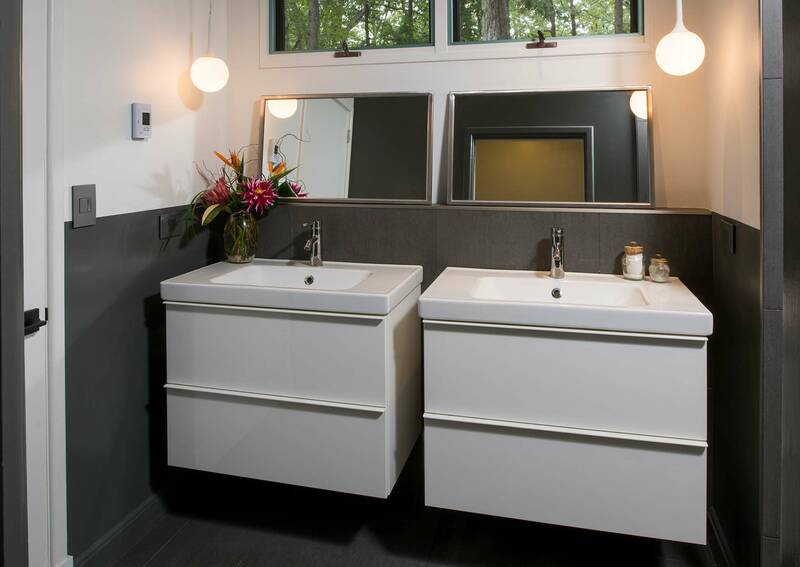 If your bathroom is a monument to a bygone era, nonfunctional for your family or even downright scary, it may be time to think about making some changes. 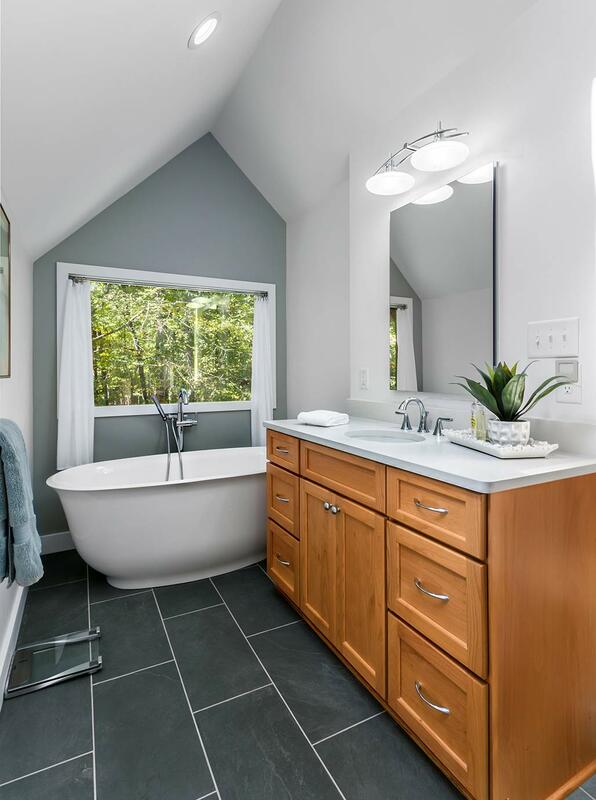 If you’re already thinking about bathroom renovations, then we’ve got some great tips for you. 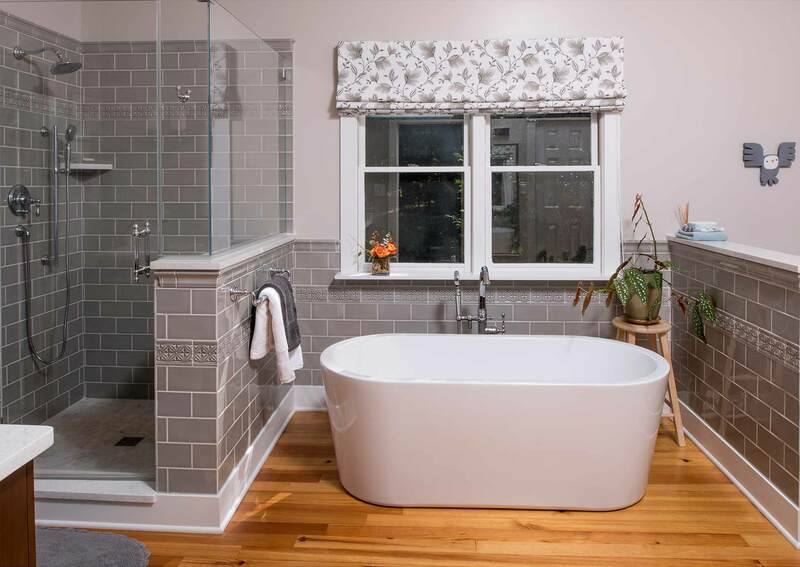 It’s difficult to provide a blanket estimate of the costs involved in a bathroom remodel. A renovation with all the bells and whistles would be considerably more than a simpler renovation. Don’t move walls. If you don’t have to expand the size of your bathroom, don’t. Changing the walls of your bathroom means a lot of demolition, new structure, new drywall and all sorts of other things, all of which will spike the cost of the project. Don’t move fixtures. Keeping the big things like tubs, showers, toilets, and vanities in the same place usually means we can use the existing plumbing. That keeps costs down. If in doubt, spend on tile and save on the vanity. 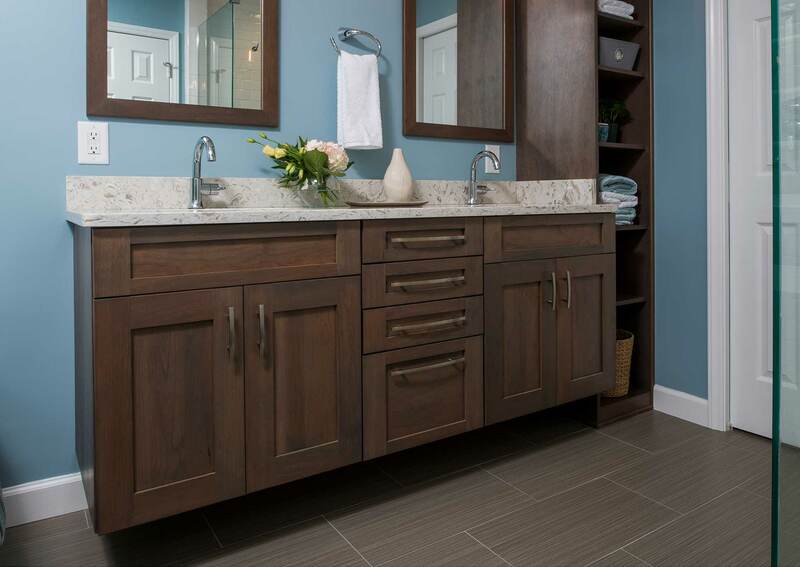 Tile is far more permanent than a vanity, and you can always upgrade the vanity later without too much trouble. 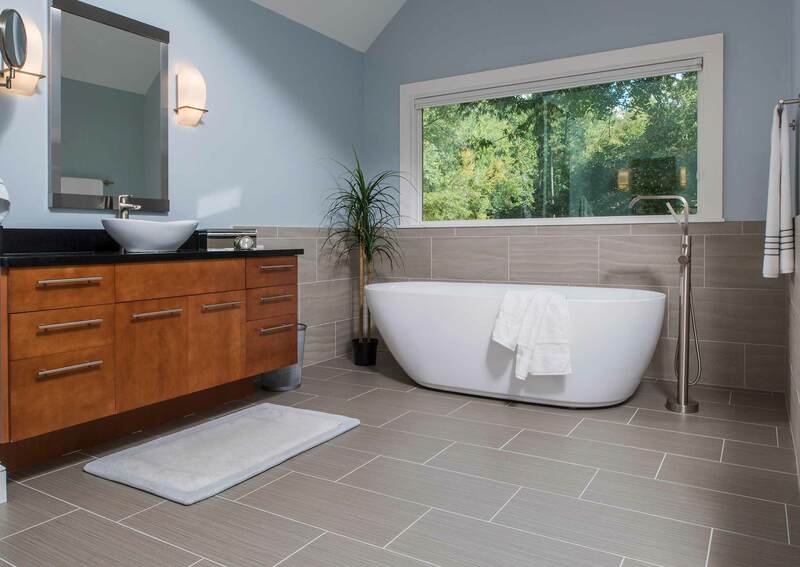 Removing and replacing tile is a much bigger job, so get the best tile you can afford. Know your budget and stick to it. If we know what the ceiling is, we’ll be better equipped to deliver exactly what you need. 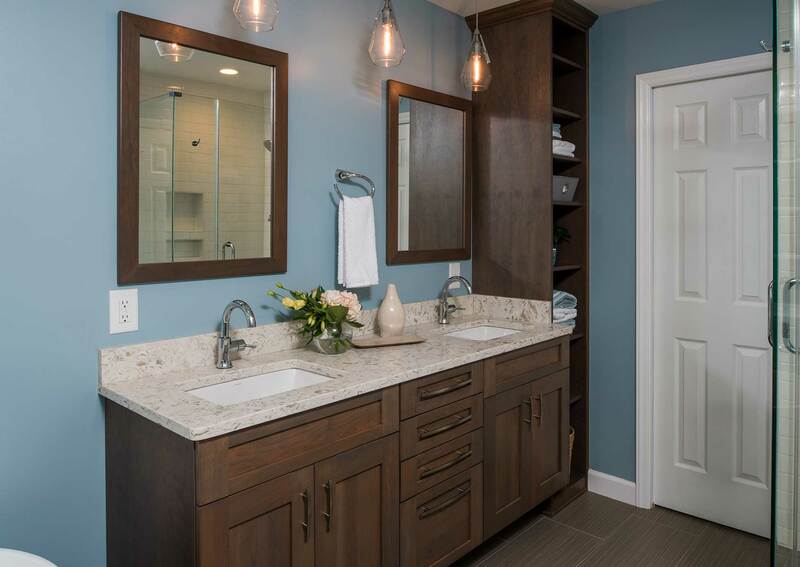 While budget is important, also remember that, along with kitchens, a bathroom remodel adds significant resale value to your home, so there’s a great return on your investment. Price is important to everybody, but quality and value for money are far more important in the long run. 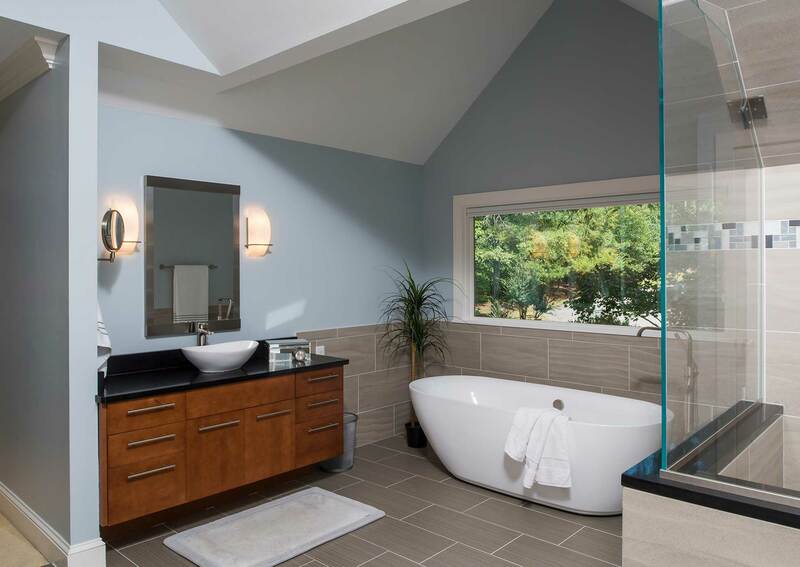 You don’t have to be a design or construction expert to get your dream bathroom. That’s what we’re here for, and we’re happy to help. 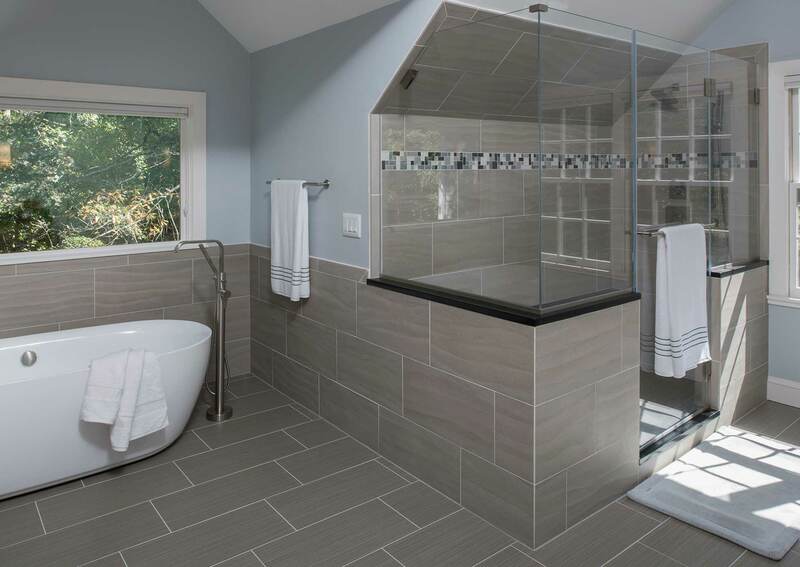 Whether you have a single bathroom to remodel or several, we’ll help you every step of the way. When you contact our team, we’ll arrange a time to get to know you and your project better. After we discuss an initial budget range, we’ll arrange a site visit, take measurements and note any visible issues like leaks or damage. 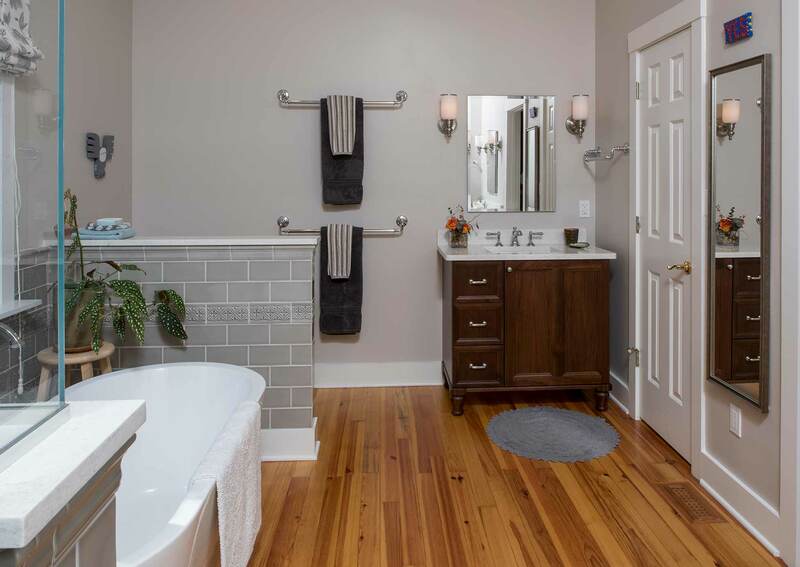 There may still be some surprises hidden in the walls, but an early look at your bathroom helps us identify any potential problems earlier on. After the site visit, and once we’ve discussed your options for bathroom designs and any specific needs, we’ll provide you with a detailed quote, outlining everything that’s included (and excluded), as well as any options we think might be appropriate for the project. When you’ve chosen a design plan, signed the paperwork and given us the go-ahead, it’s time to start the renovation, and we’ll do our best to keep your home as livable as possible during the project. 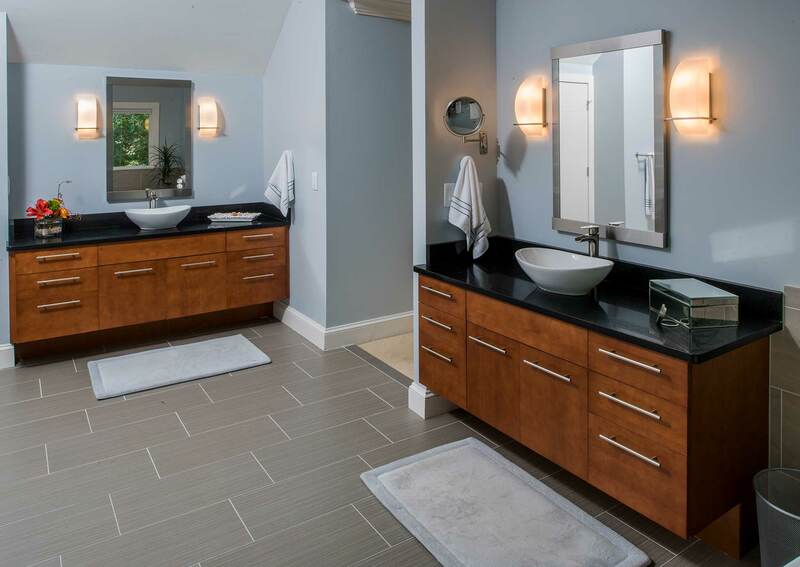 Bathroom renovations typically don’t take too long to complete, provided all the materials chosen are locally available, and since we go the extra mile to keep your home dust-free and usable as much as possible, we can usually complete your bathroom remodel while you’re living in your home. 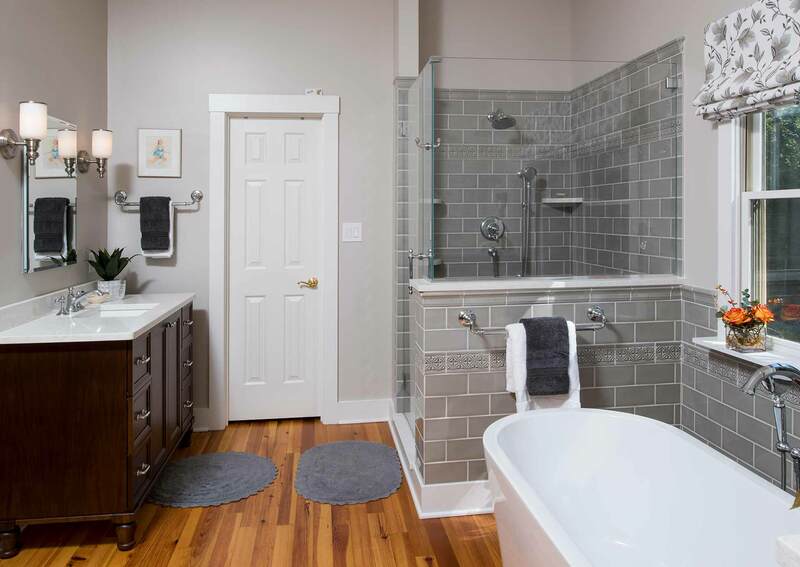 There’s no “one size fits all” home, and every bathroom remodel is different, too. 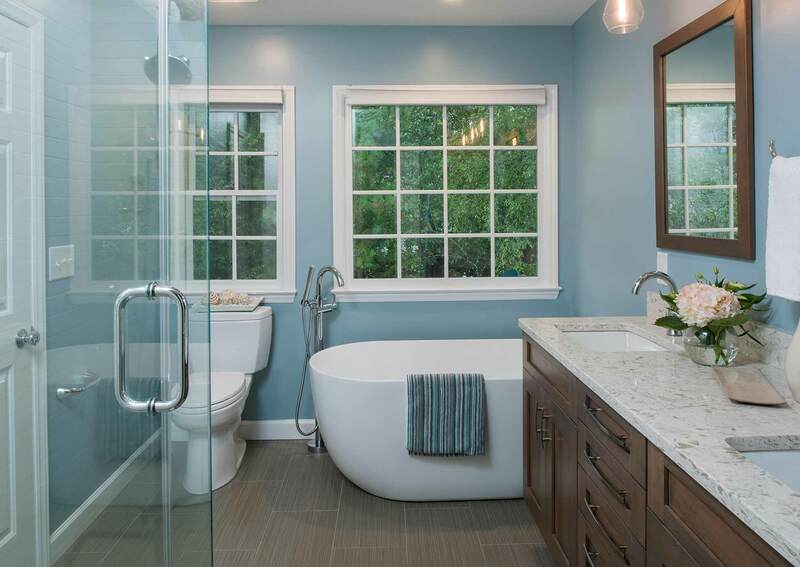 What we can’t cover here, our team will be more than happy to discuss with you, so if you think it’s time to give your bathroom a gorgeous upgrade, get in touch. Let’s make yours the retreat you’ve always dreamed of.